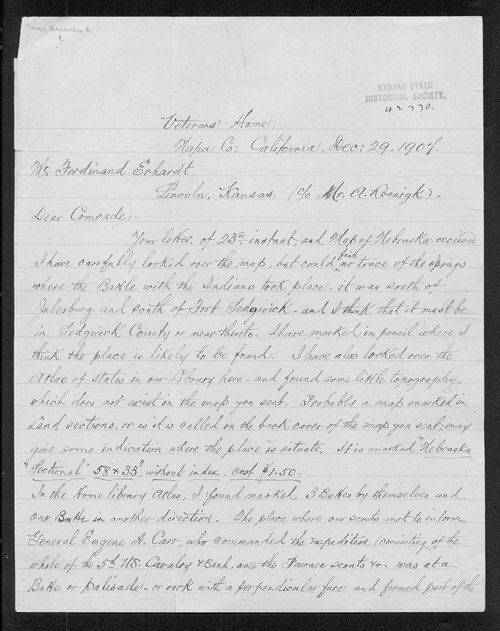 This is a letter from Hercules Price, Napa County, California, to Ferdinand Erhardt, Lincoln, Kansas. Price writes about the Battle of Summit Springs, which took place in northeastern Colorado on July 11, 1869. A map of the battle area is also included.